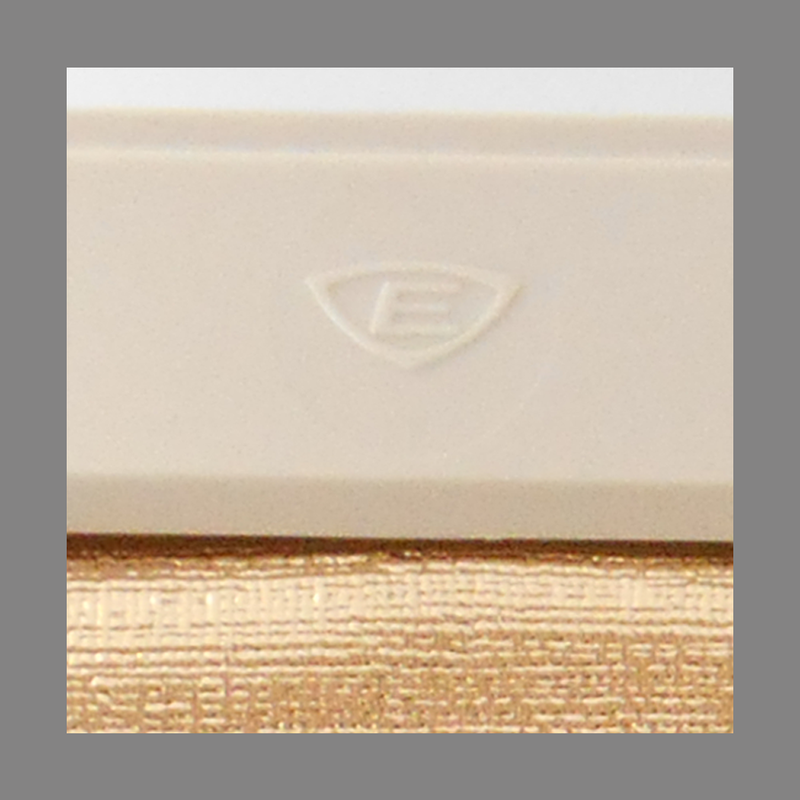 Edwards Bolero was available in two different styles. The conventional two-door models C-20 in White and Chrome and the C-21 in Ebony and Brass. The C-20 and C-21 featured a conventional “ding-dong” and repeating “Vibrechord” signal. 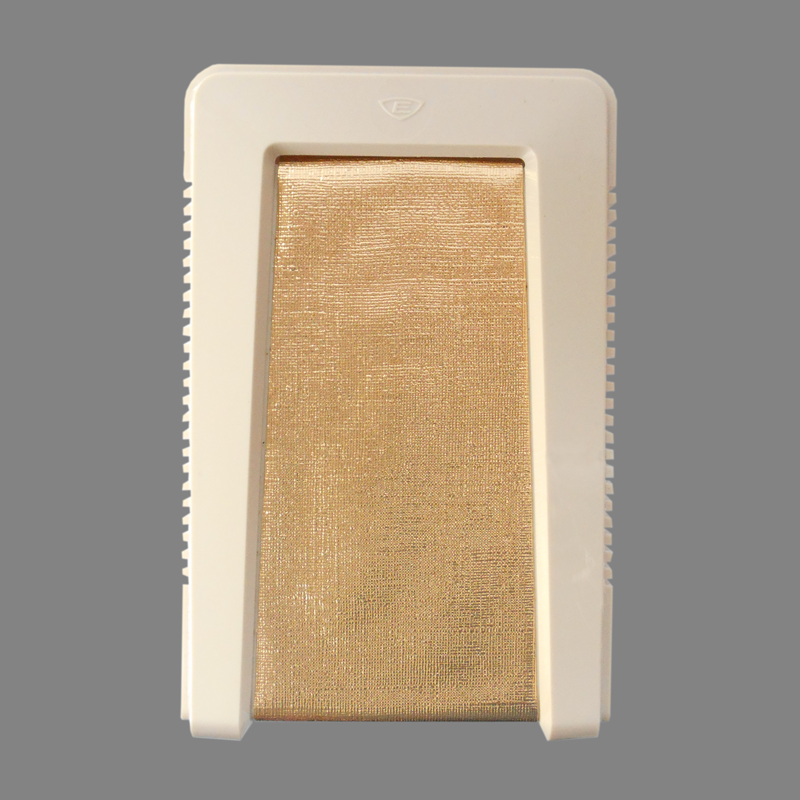 In addition, the Bolero Iii model C-28 shown here, in Ivory and Brass is: “Identical in appearance, except for color to the No. C20 and No. C-21. One note, two note and Vibrechord signals. A FINE CONTEMPORARY DESIGN. Designed to compliment your taste in modern furniture, the striking Blolero chime in Jet ebony and sparkling satin brass or white and silver will provide a new note in any hall or foyer. New decorative idea is the removable center section which can be covered with drapery material or wall paper to give a personal touch to your chime. Both two note and Vibrechord signals. 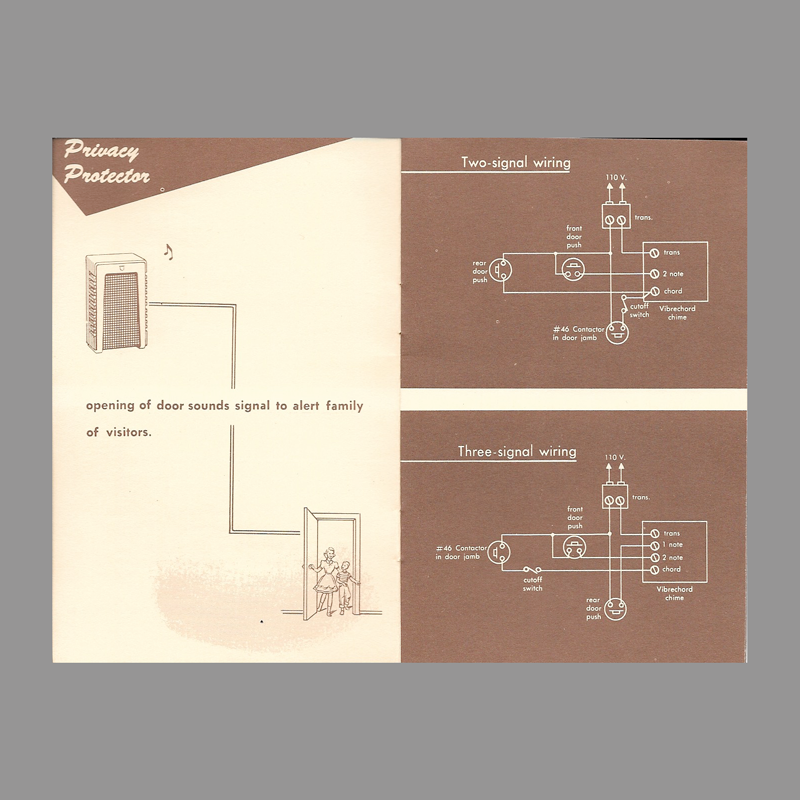 Intruder Alarm: switch, handy to sleeping person, sounds Bivrechord’s continuous notes to ward off intruders. Freezer Alarm: thermostat in freezer sets off continuous Vibrechord tone to war of temperature rise. Vibrechord is a tone. 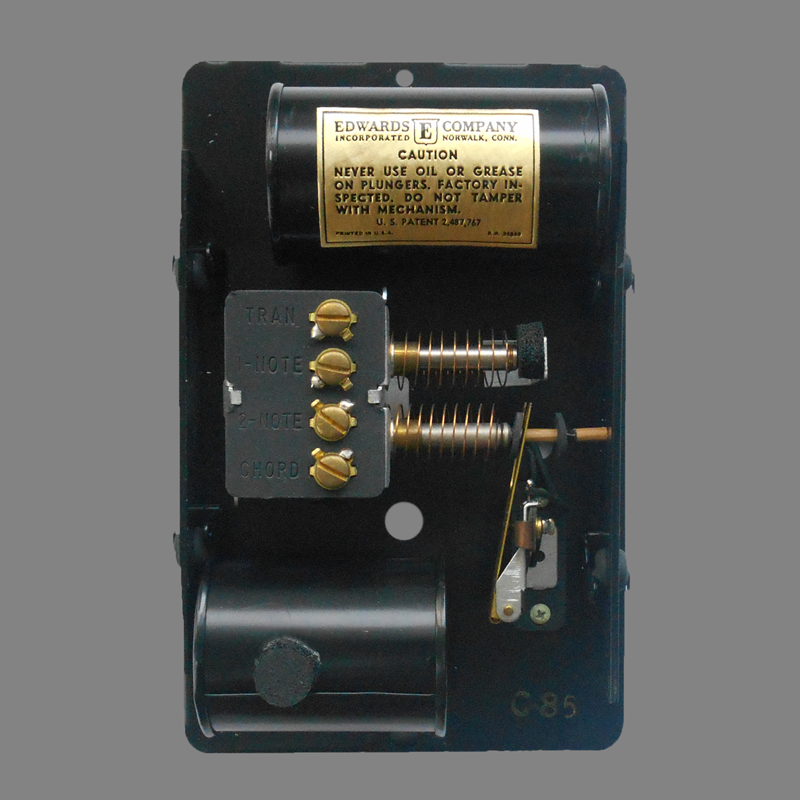 It’s a chime tone that sounds a vibrating call as long as a finger remains on the push button. 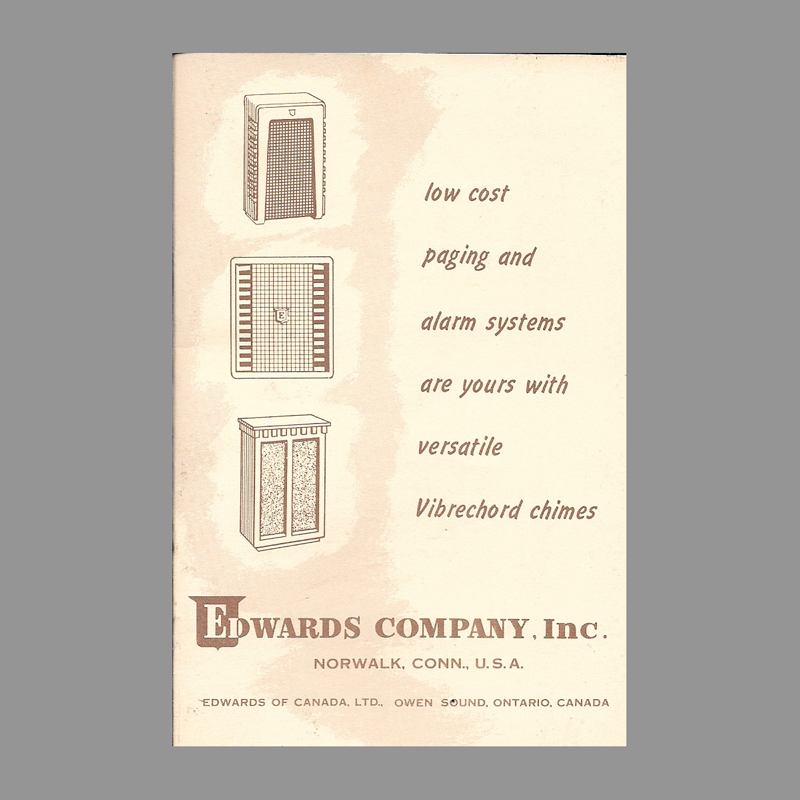 Numerous Edwards chimes include the Vibrechord movement. The Bolero, Minuet, Hideaway and other new chimes feature a two-note call as well as the sustained Vibrechord, while the new Bolero III and Sylvan models offer a single note in addition to those two signals. 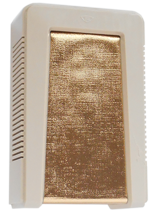 It is the unique combination of these individual and continuous notes that sets Vibrechord chimes apart from the ordinary chime—they introduce an entirely new concept of chime applications—applications which put high cost alarms and paging systems within your reach…at a fraction of the cost you’d normally expect to pay.! 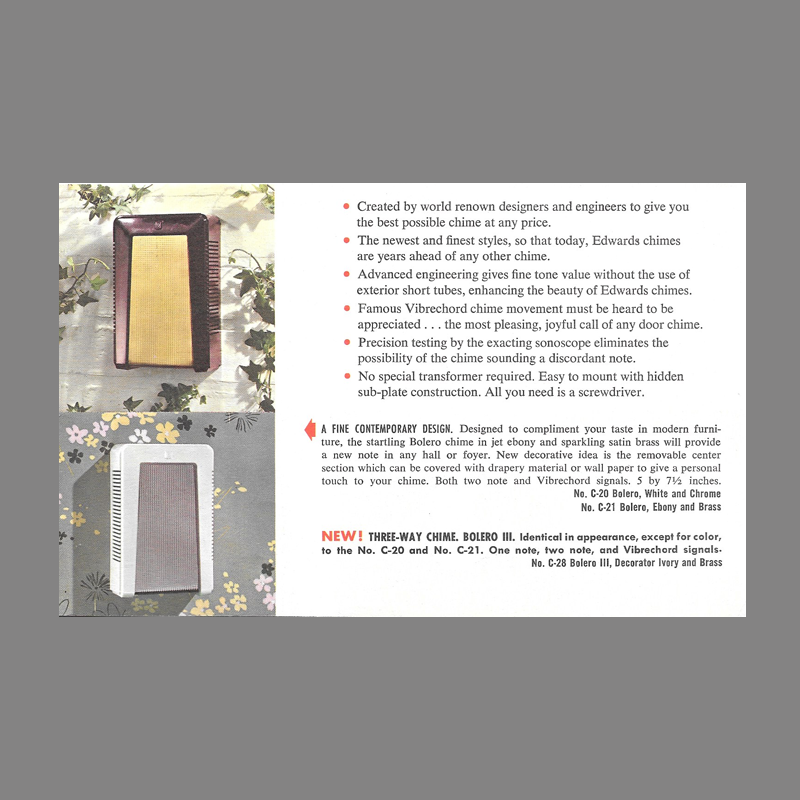 Materials Cover: Styrene Plastic with paper insert. Resonators: Steel.